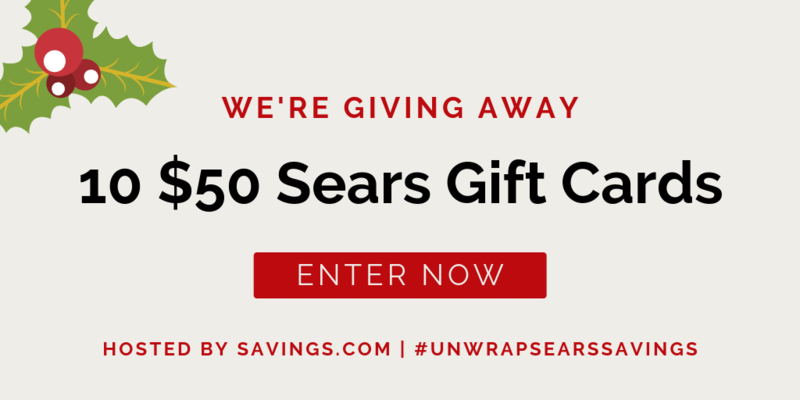 $50 Sears Gift Card Giveaway – 10 Winners | A Savings WOW! What’s on your wish list this year? How would you like to win a $50 gift card to help purchase some things on your wish list? The winners will be chosen through a lottery drawing and notified on Wednesday (11/28) via the email address they used to enter. See complete Official Rules for entry instructions, full prize descriptions, restrictions and other important details. While you are shopping at Sears, don’t forget to save an extra 10-20% off. Find out more information here.